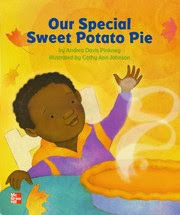 This week we read Our Special Sweet Potato Pie by Andrea Davis Pinkney. Here is the story map we created. Then the kids had fun dreaming up different ways to catch a rolling sweet potato! We also made some cute little turkeys!